« Publisher vs Kindle. What’s your preference? I like your ghost with a pencil. Did you do that artwork? 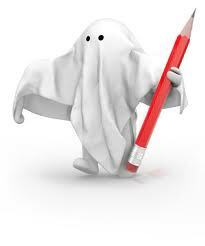 As for ghost writing, as you know I was a staff writer for 37 years and that is essentially ghost writing. When you hear “writers” complain they wrote a script for Universal Studios and when the show came on TV, it was nothing like the script they wrote because some jerk rewrote it; well, I was one of the “jerks” who rewrote it. There is a give a take about that. They are the ones who get the onscreen credit for the work. They are the ones who win an Emmy (if indeed one was won) but I am the one who had the full time job and made more money than they. The biggest give and take is if the staff writer didn’t rewrite it, it would never have been on TV at all, because there are way too many net specs (network specifications) and other requirements and regulations that no one outside the industry could possibly know about them all, much less how to handle them in a script. The most obvious thing people usually don’t take into consideration is even a fantastic writer writing his/her first screenplay could not compete with a merely competent writer who has written screenplays 50 hours/week for over 30 years. How do I say, “I wonder if the book buying public (at least the Snooki book buying public) would recognize the distinction even if it were made?” without sounding like a pretentious snob? I guess I can’t. As a writer myself I’d like to think Publishers SHOULD mention who truly wrote the book. If a celebrity invests in a hot Manhattan restaurant they’d be hard pressed to find a chef who’d let his or her Michelin Star dish be passed off as the celebrity’s signature creation. I don’t see why writers should settle for any less respect for our art and effort. I agree with H.E. Ellis. The actual writer should be acknowledged. However, give me an opportunity to ghost write a book for some celebrity whose name-power guarantees me a royalty on millions of sales and see how fast I prostitute myself. Great blog, Donna, and great questions. I believe the ghost writer’s name should be on the book. Right on the cover. No one actually believes Snooki or Nicole Richie can write their own names, much less their own books. I doubt it would effect sales in the slightest. Snooki is one of the ignorant, trashy party girls on the American (sad to claim this one) show Jersey Shore. I think you’re right in that it is technically ethically and morally fair to credit the ghostwriter. However, I also feel that someone agreeing to be a ghostwriter will be aware that this is the way it’s going to work, and that’s what they’re getting paid for. I doubt any of these celebrity ghostwriters were promised credit and then weren’t given any. They have to sign contracts saying they won’t ask for credit and basically sign their work away. I personally wouldn’t want to be a ghostwriter because I don’t like the idea of someone else getting credit for my work, no matter how much I’m paid to let them. 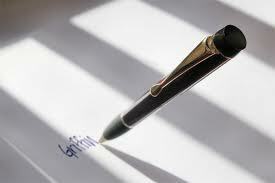 I get the purpose of ghostwriters for memoirs. It’s the novel thing that confuses me. It’s one thing for a celebrity to want to share stories about their lives and make some extra money doing so, but why a novel? Thanks for your comment, Alana. I, like you, couldn’t (and more to the point wouldn’t), sign my work away either. I wonder if they are allowed to claim credit for it on their CV (resume)?